Looking back at the original post, where I define our objective as understanding more about the unspoken history of our Grandfather’s role in the War, we seem to have strayed a rather long way off topic. To use a flying analogy (sorry), I’d like to think that we are circling over the target rather than veering hopelessly off course. Before I could start to really think about Grandpa, we needed to gather more context. How could we understand his circumstances without first gaining a broader understanding of the wider picture? The Battle of Britain marks the first major air-engagement for England and was a logical starting point. As previously noted, to gather the widest view, we’ve been looking at histories, biographies, visiting airfields etc. This early effort has started to build up the knowledge base, but it then opened up a new question: how does one record history? If I was a history academic, this question would have been exposed and dealt with during an undergraduate degree (thanks to all those post-modernists), but as an amateur, it’s a troubling matter. How do you get to the core meaning of any event? Surely facts alone can’t tell a story (look, for example at Westhampnett at War. It gives a list of Squadrons who were based there, but the meaning of the book comes from the long letter of a veteran written many decades later). This tension is well-represented by Park and Leigh-Mallory. Park, unrecorded in the official history of the Battle, had a bronze statue unveiled in his honour 70 years later. Leigh-Mallory, celebrated and promoted in his short life-time now stands as a political climber who misplayed his hand. The challenge will come in both interpreting the information we find and in transcribing the facts into our own history. Before leaving the topic of Keith Park (although I am sure we will come back to Park as his later role in the War will intersect more specifically with our story), I want to spend a moment considering his successor. As previously noted, Park was quickly and quietly removed from his command of 11 Group shortly after the Battle of Britain. It’s worth remembering that the Battle of Britain was a short, sharp episode which covers a specific period (the late summer and autumn of 1940). Germany’s failure to gain air supremacy over the UK contributed to their decision to abort an amphibious invasion and was one of the major turning points in the War. Park fought an intensely defensive battle. He instructed his fighters to attack the incoming bombers and resisted attempts to be drawn into dog fights. He preserved his fire power and used it where it was needed most- against the bombers who could destroy their airfields. He and Dowding combined sharp military tactics with modern ingenuity and capitalised on German mistakes (such as their failure to understand the importance of the radar network). Why then, was Park not recognised in his time? The Battle was clearly a success as the invasion had been prevented. Sir Trafford Leigh-Mallory replaced Park as Air Officer Commanding of 11 Group. Leigh-Mallory was educated at Cambridge where he met Arthur Tedder, the future Marshal of the Royal Air Force. He passed his Bachelor of Law degree and had applied to the Inner Temple in London to become a barrister when, in 1914, war broke out. Already one catches a glimpse of the old boys’ network- an Oxbridge education and youthful friendships with the right people. Leigh-Mallory served as a Royal Flying Corps pilot and squadron commander during the First World War. Remaining in the newly formed RAF after the war, Leigh-Mallory served in a variety of staff and training appointments throughout the 1920s and 1930s. During the pre-Second World War build-up, he was AOC No. 12 Group and then took the helm of 11 Group, where he assumed responsibility for the defence of London. In 1942 he became the Commander-in-Chief of Fighter Command before being selected in 1943 to be the C-in-C of the Allied Expeditionary Air Force, which made him the air commander for the Allied Invasion of Normandy. During the Battle of Britain, Leigh-Mallory disagreed with Park and Dowding’s tactical decisions. Rather than scrambling small flights of interceptors, he and flying ace Douglas Bader pushed the ‘Big Wing’. The tactic involved meeting incoming Luftwaffe bombing raids in strength with a wing-sized formation of three to five squadrons. In the Battle, this tactic was employed by the Duxford Wing, under Bader’s command. Although Leigh-Mallory and Bader claimed it was a great success, post-war analysis suggests the actual number of German aircraft shot down by the wings was probably a fraction of those claimed. However, their own losses were less- suggesting that there was some safety in numbers. It was easier to interrogate the wing’s effectiveness after the War, when it was possible to study German logs and authenticate the claims of the pilots. It’s not surprising that it was so well-received at the time. It was a dramatic vision- a triumphant force streaming across the skies in a wall of fury, designed to demoralise as much as destroy the Luftwaffe. It was bold in its vision and was led by a hero (Bader was a talented pilot and flew despite losing both of his legs in an earlier crash). This solves the first riddle: why was Leigh-Mallory so celebrated at the time? Perhaps it is simply because the idea that he was selling gripped the imagination of senior military figures and the news-hungry public. It wasn’t really possible to fully and dispassionately understand its effectiveness until long after the Battle had been fought. Coupled with his excellent political connections, it’s not surprising that he received his promotion and Park was scrubbed from the official history. In August 1944, with the Battle of Normandy almost over, Leigh-Mallory was appointed Air Commander-in-Chief of South East Asia Command (SEAC). But before he could take up his post he was killed en route to Burma when the aircraft he was travelling in crashed into the French Alps. All on board were killed. The subsequent Court of Inquiry found that the accident was a consequence of bad weather and might have been avoided if Leigh-Mallory had not insisted that the flight proceed in such poor conditions against the advice of his air-crew. He was one of the most senior British officers and the most senior RAF officer to be killed in the Second World War. With a final twist of fate, Leigh-Mallory’s replacement at SEAC was Sir Keith Park. Leigh-Mallory, in not surviving the War, was not there to shape the fluid and developing history around the Battle. He left few papers and his wife died alongside him. The paucity of information meant that his story was frozen in the heat of War, without any chance to relive, understand or explain the story. Kirsty Young’s castaway is the veteran RAF pilot Tony Iveson. Aged 21, he survived being shot down in his Spitfire over the North Sea during his first taste of combat in the Battle of Britain. 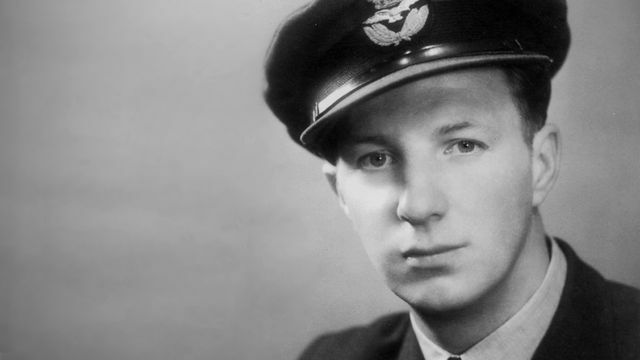 He then went on to join Bomber Command and the famous Dambusters squadron, sinking the German battleship The Tirpitz and winning a Distinguished Flying Cross. He also touches on the controversy surrounding the creation of a permanent memorial for Bomber Command. He offers his views on the tension between remembering the 55,000 aircrew lost and the modern questioning of the validity of a campaign that killed so many German civilians. Iveson is one of the only pilots who flew for both Fighter and Bomber Command and helps to set the scene to move our discussion away from the Battle of Britain and towards Germany’s rooftops. The fourth plinth in Trafalgar square has been without a permanent fixture since 1841. Although it was always intended to house a sculpture, the heroic permanent statue never arrived. Instead, a roving series of objects has graced this elevated position. of Sir Keith Park took its place overlooking Nelson’s Column. Clive James celebrates the honouring of this Battle of Britain commander in BBC Radio 4’s “A Point of View” programme. “There are none” Park replied. After reading Bungay’s Most Dangerous Enemy, I was intrigued to discover more about Keith Park. Park is painted as a brilliant tactician, who grasped the situation and made the correct decisions in the heat of battle. However, after the Battle, he lacked the political ability to capitalise on his military triumph and convert it into career gain. This, of course, only serves to further cast him in the role of a hero. Shortly after the Battle of Britain he was relieved of his command of 11 Group and sent off to train pilots (he would return to front line action in the War, but more on that later). 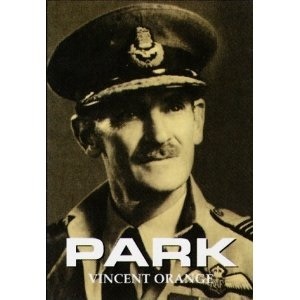 Vincent Orange‘s substantial biography of Keith Park presents the facts and well-deserved tributes in a readable manner. He enjoyed unrestricted access to Park’s papers and as the first edition of the book was written in 1984, he was able to conduct many interviews with people who had known him. Orange reveals a man whose energy and courage won him supreme praise from Churchill and the lasting respect of all who served under him. So, a hero now but not then. Why? Did someone fail to see the triumph at the time, or does history start to re-write itself over the decades?